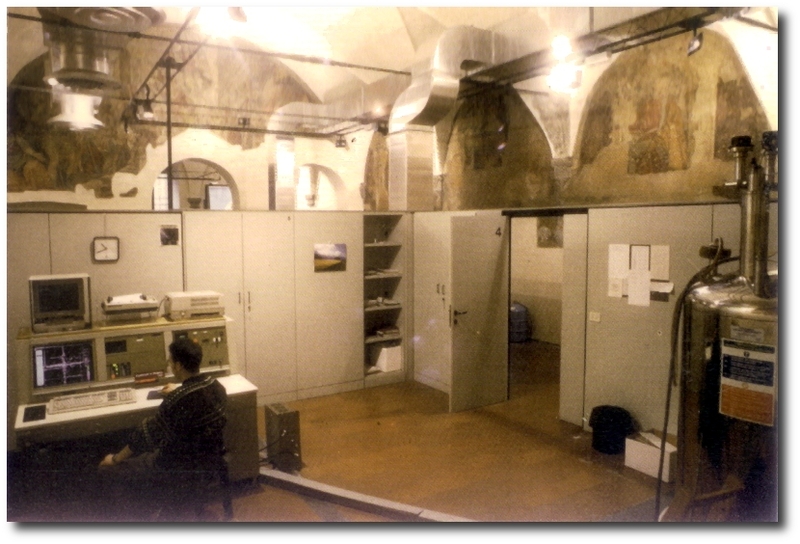 Massimo started working on NMR since 1992 in the “Laboratorio di Risonanza Magnetica” located in Firenze, in a former church with frescos of the 16th Century on the walls. 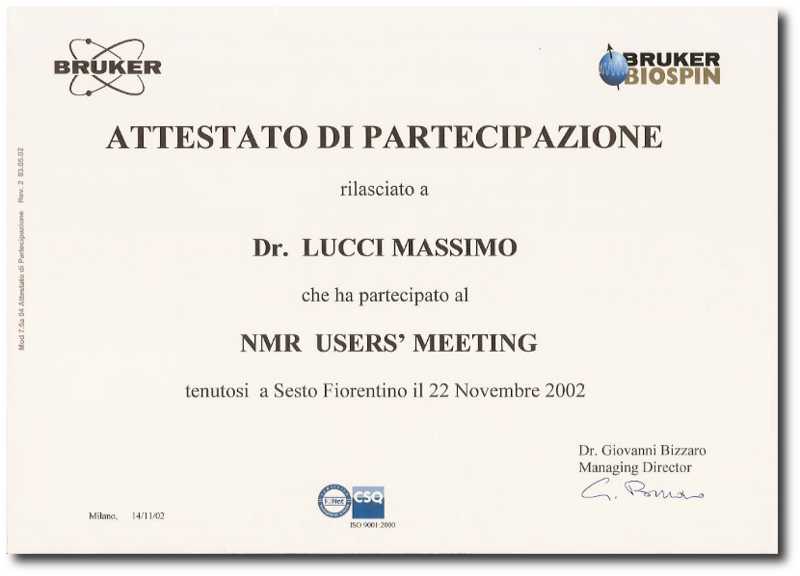 The spectrometer on which Massimo have done his first job was a Bruker DMX 600 MHz, when he gave technical support to national users of that instrument. Then he joined to CIRMMP in 1999 dealing with technical assistance of scientific instrumentation for NMR (Nuclear Magnetic Resonance) spectroscopy in use at CERM. 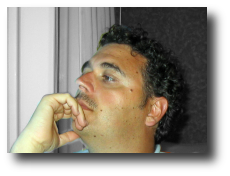 He provides scientific advice and technical support to teachers, researchers and graduate students afferent to the CERM both for high resolution and solid state NMR spectroscopy. 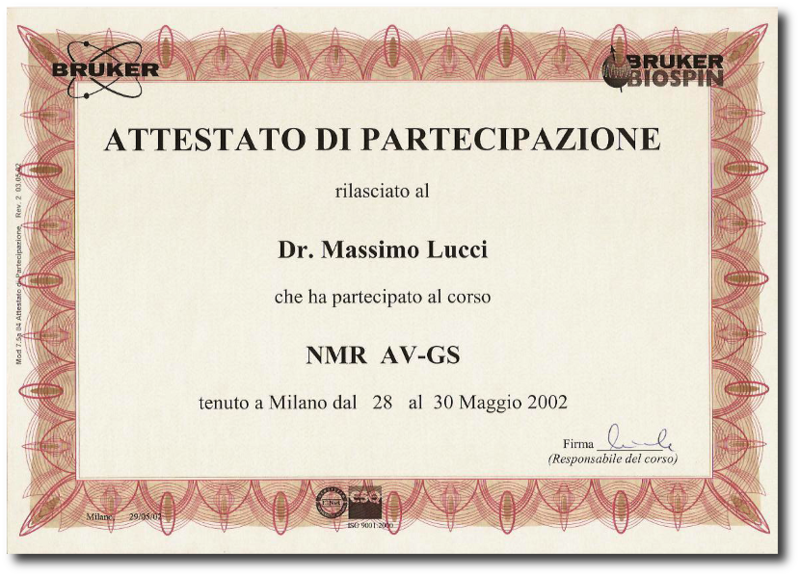 He writes pulse programs and scripts to acquire and process NMR data and to convert data between different formats. More recently he was involved in providing hints for improving the performances of probeheads for solid-state NMR, specially in the field of UltraFast CPMAS. Ordinary Maintenance of NMR Spectrometers including N2 and He refill, keeping of specs. Special Maintenance including hardware and software upgrades, replacement and test of broken parts, works on superconducting and subcooled magnets, on cryoprobe systems, on Probes for high resolution and solid state. Scientific and technical support to internal users for their scientific work: sample or rotor filling, calilbration of pulse and power needed, setting up of dataset and/or development of new pulse sequences and methods. Scientific and technical support to international users including help in the sample preparation, pulse calibration, full setup of nD experiments, modification of the standard pulse programs for special purposes, processing and storage of data. A new trip to the factory in Rheinstetten was offered to Massimo by the heads of the R&D Department with special focus in the UltraFast BL 1.3 probe. Due to the high speeds reached by 1.3mm rotors, this probe is really sensitive to any imperfection of rotors, MAS stability, TEMP issues and so on. 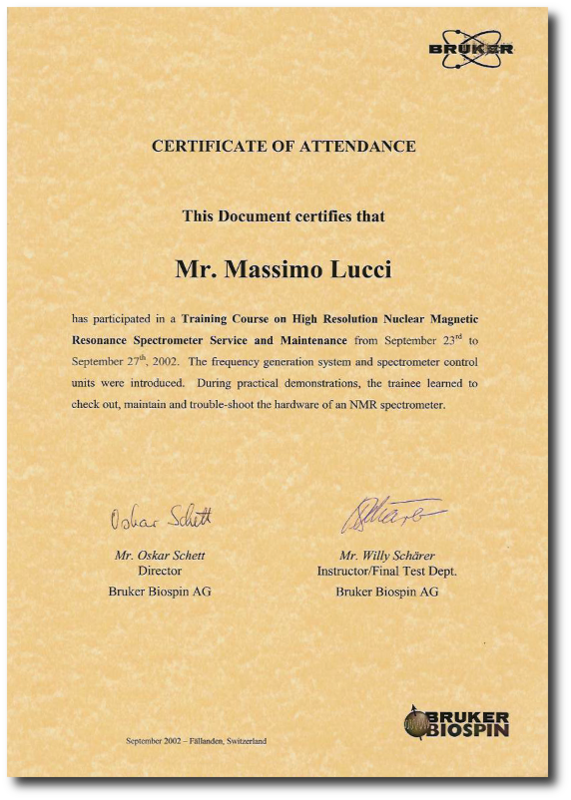 Massimo discussed about the opportunity of some modification in the stator device and in the BVT air-connection to improve the quality of SSNMR. Bruker CPMAS Probehead are ideal for a wide range of inorganic and biological samples, covering experiments like CP, double CP, MQMAS, REDOR, proton heteronuclear decoupling and combinations. Anyway, the routinary use of a CPMAS probe requires some skills and a good knowledge of radiofrequency and electronic principles. During the factory tour Massimo had the possibility to interact with project leaders and engineers involved in the Probe Department, so he acquired the know-how needed to handle those sensitive devices. Bruker BioSpin has specialized in the production of superconducting magnets for NMR. The US2 magnet technology (UltraStabilized and UltraShield) adopted to deliver such high field systems as 800, 850, 900 and 950 MHz at CERM requires considerable expertise and experience in the maintenance. Massimo found his last visit in the Factory (Karlsruhe/Rheinstetten) very helpful and formative. This course covered basic aspects concerning the Solid State NMR: sample preparation, setting up of CPMAS probe, setup of standard 1D 13C CPMAS experiments (TOSS, SELTICS, CPPI, Hann-echo) and setup of pseudo-2D for T1 relaxation measurements. This course teached how to use pulsed field gradient NMR spectroscopy to measure translational diffusion using standard high resolution hardware. The course covered a brief theory introduction, PFG calibration, data analysis and separation of mixtures by using diffusion. This course has gave an introduction to the use of PFGs and shaped pulses for the Avance spectrometer, applied in 1D experiments for selective excitation, 2D homo/etero-correlations and 3D as HSQC-TOCSY. The course also touched arguments regarding: solvent suppression, optimization of the gradient shimming and special pulse sequences. 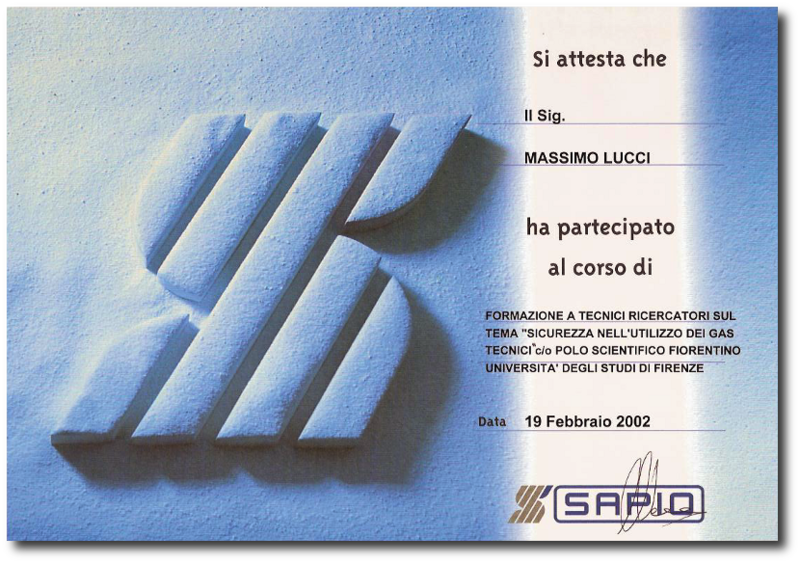 Corso di formazione per tecnici ricercatori sul tema "SICUREZZA NELL'UTILIZZO DEI GAS TECNICI" c/o Polo Scientifico di Sesto Fiorentino. This course with class lectures (discussion of schematic and block diagrams) and demonstrations (on consoles and magnets) was intended to provide familiarity with all spectrometer maintenance work required. The course has included demo sessions and use of diagnostic service tools and troubleshooting as well as console and supercon maintenance.